The Hispanic Association of Colleges and Universities’ senior vice president and chief operating officer David Ortiz spoke at the National Association of Latino Elected Officials session titled Strengthening Texas’ Leadership to Increase Student Success on Jan. 14, 2019, in San Antonio, TX. 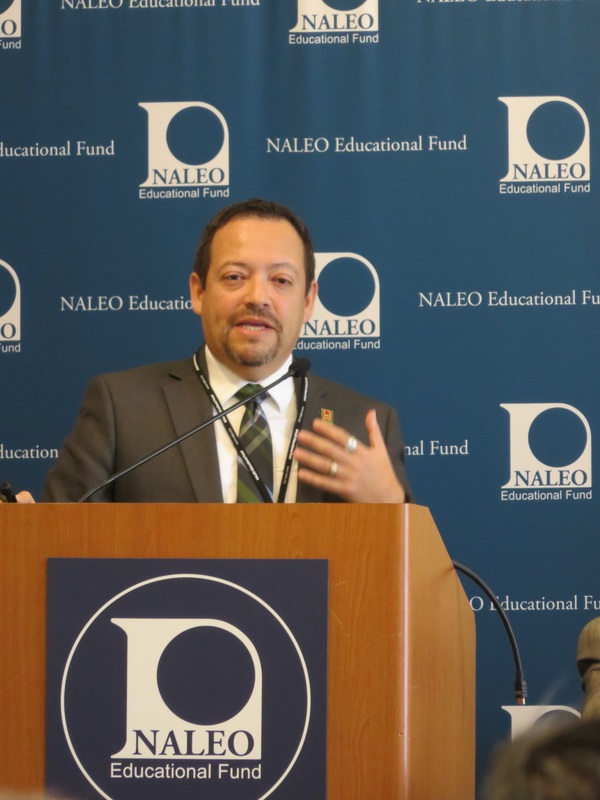 The presentation was part of the NALEO Texas Statewide Policy Institute on Higher Education and the Workforce held in San Antonio, Texas. The session was designed to equip policymakers with data trends on the diversity make-up of the leadership roles in postsecondary educational institutions, Latino student enrollment data in K-12 districts, and highlight cross sector strategies that support policies and practices that promote Latino student success in the classroom and beyond. In attendance was approximately 45 policymakers from the state of Texas from the community college, county, municipal and school board levels of office. Ortiz addressed data on the number of Hispanic-Serving Institutions in Texas and the composition of institutional leadership for post-secondary institutions in the state; the number of K-12 school districts that are serving a large number of Hispanic students in the state; updates on HACU initiatives aimed to increase diversity, support leadership growth, and cultivate the next generation of leaders; and provided strategies or recommendations for participants on what they can do from their level of office to support increasing the number of diverse leaders in education to positively impact student success. Also speaking at the Session was HACU Governing Board Mike Flores, chancellor, Alamo Colleges District. 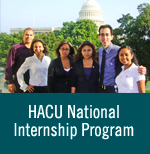 The Institute is part of the NALEO Education Leadership Initiative which aims to provide Latino public servants with the enhanced capacity and governance skills they need to become effective advocates for their students, families, and communities from birth to college completion.